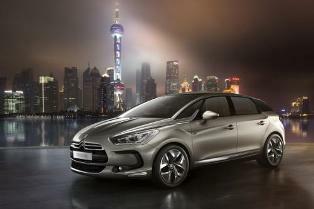 Unveiled in Shanghai at the currently going on motor show is Citroen’s third model in the DS line and this one is positioned for the executive model category. Called the Citroen DS5, the model is made based on the C-SportLounge concept model. This will be the concluding model that makes up the Different Spirit range, adding on to the already unveiled DS4 and DS3 hatchback models respectively. Judging by the images alone, one cannot help to feel excited for Citroen who over the years have not done that well in the Malaysian market. But with the growing interest and demand for continental cars in recent years, one might not remain that sceptical for too long. The DS5 comes with the company’s Hybrid4 diesel hybrid system where its power goes up to 200 horses on its 4 wheel drive system. The car measures at 4.52m long and 1.85m wide and is typically a 5 seater model. The 4 door car is also generally a hatchback model, very much mirroring that of the DS3. 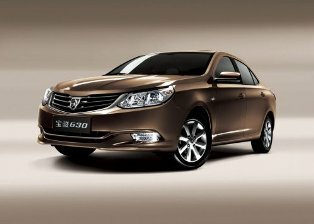 According to the company, it also has a driving dynamics of a Gran Turismo coupe. On top of that, it also comes with a lot of cargo space, recording up to 465 liters. Seen at the Shanghai show is a specifically designed White Pearl body which is made for the show and comes with 20 inch alloy wheels. Inside the car is the ebony coloured full-grain leather which comes with silver stitches. A multi-layered lacquer fascia and Markassa ebony decorative inserts too are included for the show. On the exteriors, they have used big air intake elements while also fitting in new LED light signature and chrome-finished inserts that lines along the top of the headlights towards the top of the windscreen. The standard version however would come with 16 to 19 inch alloy wheels while one would also like it coupe-like driving sitting position inside. Buttons and knobs are all made and placed in their usual and ergonomic positions for a better driving experience. On top of all that, it also comes with a colour head-up display system and a push-start engine mode too.